Digital marketers around the world…. Listen up! One of the best ways to become a better writer is to read and read often. Since most all aspects of digital marketing are on a computer with text, the internet is inundated with blog posts and articles on just about everything. 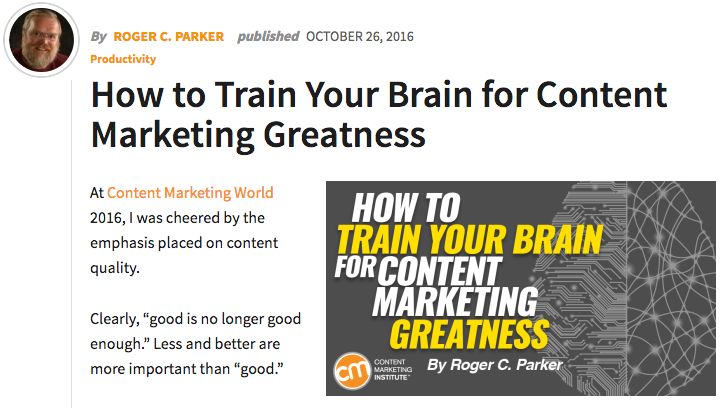 Use this to your advantage, and brush up on what the best content marketers and copywriters write. You’d be surprised how much you can learn! What makes up a great content marketing or copywriting blog? There are a few things I considered when I was looking for “the best” blogs. I am sharing blogs that are unique, thoughtfully written, provide helpful tips and insights, fun-to-read, and they must provide clear takeaways. These guys are some of the best copywriters on planet Earth, but what do I know. I’m just a lowly Marketing Coordinator. A few things about the screenshot above. First, you can see how long it takes to read it, but it is unlikely that detail will stop you from continuing to learn about “every single copywriting formula” that the Copy Hackers team has seen. In three sentences, Joanna Wiebe was able to provide just enough detail to spark interest in the reader. Second, there are 139 comments. That’s about 139 more blog comments than the average blog post! Yet another reason proving the content that comes from Copy Hackers is well received. There are few marketers with the same amount of expertise as Neil Patel. That’s one of the main reasons why the Quick Sprout blog is on this list at number two. Quick Sprout’s blog posts are typically longer than “best practices” (consider yourself warned), but they remain incredibly useful. Patel describes that he enjoys writing about the “meaty stuff” that he knows his readers will find valuable. Take this article, How to Use Humor to Power Up Your Content Marketing. The post is written in a way that explains that his articles aren’t funny, but he goes into an abundant amount of detail on how humor is effective in marketing and advertising. The Quick Sprout blog provides readers with actionable insights on a broad range of marketing topics, all backed by data and analytics. It’s essential that content marketers know how to describe complicated marketing strategies in their copy. Conversion XL’s blog posts are great examples of this. These posts deal primarily with optimizing a website to make it convert more of its visitors into leads. Website optimization and enhancing online user experience includes a ton of different variables. For that reason, writing a blog post on an overarching topic like The Problem with Password User Experience (and how to fix it) has enough involved, the author could probably write a novel on the subject. However, the resulting blog post is very well written, easy to follow, and provides plenty of data to support the author’s conclusions. The ultimate end-all goal of digital marketing is to transform your website into a lead generation machine, and the content on your site are the gears and machinery that makes this lead gen engine run. ConversionXL’s expertise on driving website conversions will teach you best practices on how to do just that. And, by reading their posts, you’ll start to pick up the ability to explain complex digital marketing tactics with clear, concise writing. Checkout Optimization: How do Trust Seals Affect Security Perception? It’s honestly hard not to include these guys, for obvious reasons. Originally known as Junta42, the Content Marketing Institute was created with the understanding that marketers desired to learn how to attract new customers and retain more customers through more effective content marketing. Their blog is on this list because they describe content marketing strategies techniques and then show examples of that technique. For example, in this Lessons from Aristotle blog post, the author tells people how to use ethos, logos, and pathos effectively. Even more, this blog post explains how to use emotion in your writing without feeling like you’re manipulating people. 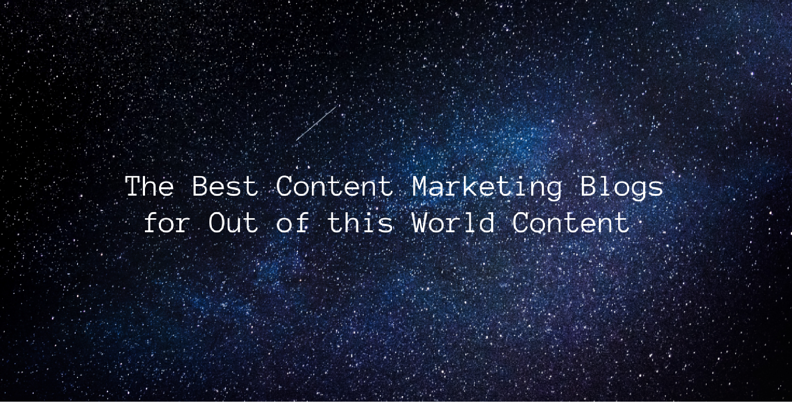 The best part about the Content Marketing Insititute is the fact that they publish one blog post per day. Why is this great? It means you’ve got a lot of reading and learning to get started on. I’ve got to give HubSpot a lot of credit, partly because I work in their sales and marketing software every day, and because I can depend on them to keep me informed on major digital marketing industry news. 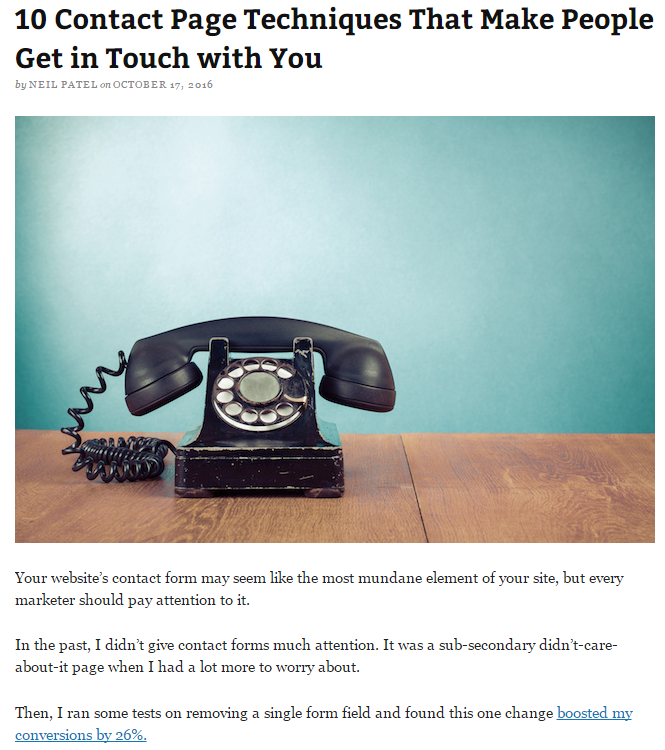 HubSpot’s blog is immense. 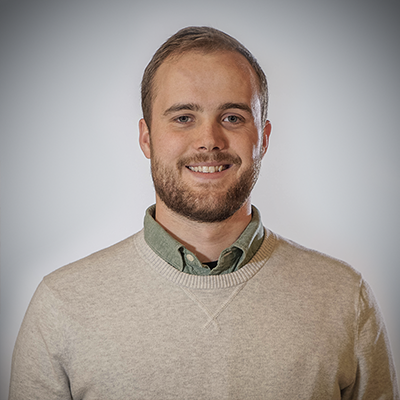 They’ve been blogging about different marketing, sales enablement, and web development topics for years now. This means they have an expansive library of content to prove their expertise on a wide range of digital marketing topics. (Fun fact: there are over 50 different topics to look through.) And, yes, one of those topics is content marketing. Boost your digital marketing skills by spending some time reading through HubSpot’s blog for golden nuggets of digital marketing expertise. You’d be surprised how much you’ll learn. Before I tell you how awesome of a content marketing tool the Copy Bot can be, I have to admit; there literally is no mention of content marketing on this site. But please stay with me here. Content marketing is a small offshoot of the wide world of writing, and for digital marketing, most (if not all) content is online. The first words you see when you get to the Copy Bot’s site is, “Essential web writing advice.” Thus, this site is yet another valuable resource for copywriting and content marketing. 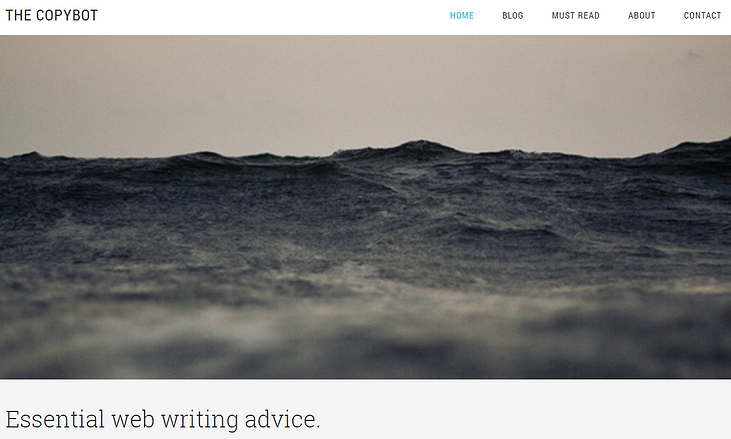 Demian Farnworth, the author of these posts, wants to share his writing tips and best practices with anyone willing to read them. 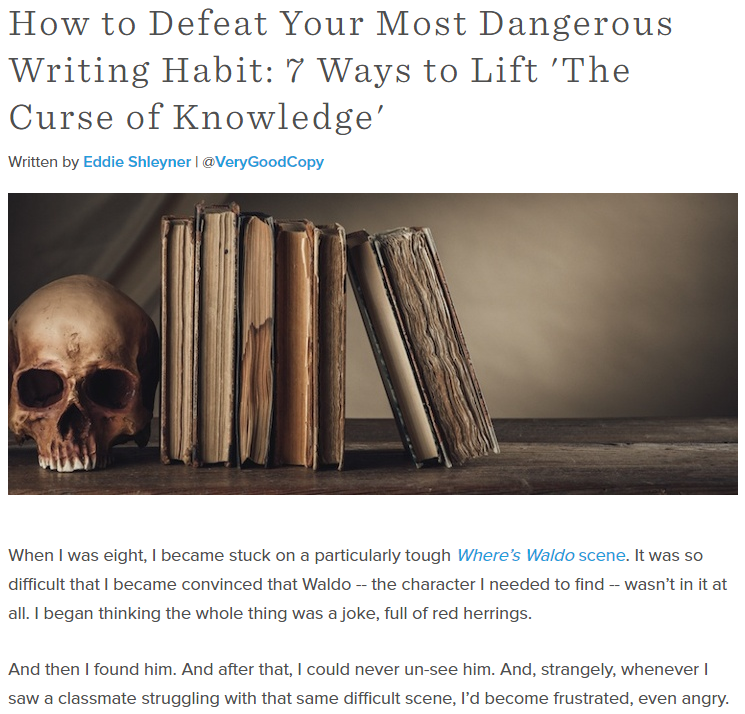 His posts contain helpful grammar advice backed by science; he warns people about speed writing, and those are just two of his over-35-pages of tips on how to get better at writing. This blog contains posts that will help your overall writing, and as a result, you might see your social media, blogging, and emails perform better as well. It'd be foolish of me to not touch on the rise of multimedia content in recent years. Content marketing is more than just written or typed content. Content marketing now includes video and live streaming, and digital marketers have yet another thing to keep up with. Thankfully, there's a video marketing agency out of Manchester, UK (home of my beloved Red Devils) that you can read! Magnafi's blog is full of posts discussing video trends, video-specific news stories, and more. Some posts show examples of video marketing strategies, and then shows examples from some of their recent video campaignsMagnafi makes this list because they offer free video and multimedia advice in their posts. For example, consumers in the modern world have many different sources where they consume content. They see ads on Facebook, YouTube, Instagram, TV, and many more, and companies can't just show the same ad on each platform. Magnafi talks about sequential retargeting, or showing a "number of adverts in a sequence to people who engaged with the previous ad." Now, I wouldn’t be doing my job if I didn’t give an honorable mention to the Revenue River blog. We’re a group of digital natives with a wide range of digital marketing experience, and we write about growth driven design, sales enablement, search engine optimization, and a heckuva lot more! Overall, the best way to improve content marketing is to read. Then read some more, and when you’re not reading, think about what you’ll read next. Reading good content marketing and copywriting blog posts on a consistent basis will help your writing ability to improve. Think I missed one of your favorite content marketing blogs? Let me know in the comments! revised and republished to account for freshness and accuracy.